A cute idea I heard the other day was to have “no interruption” timers for people. 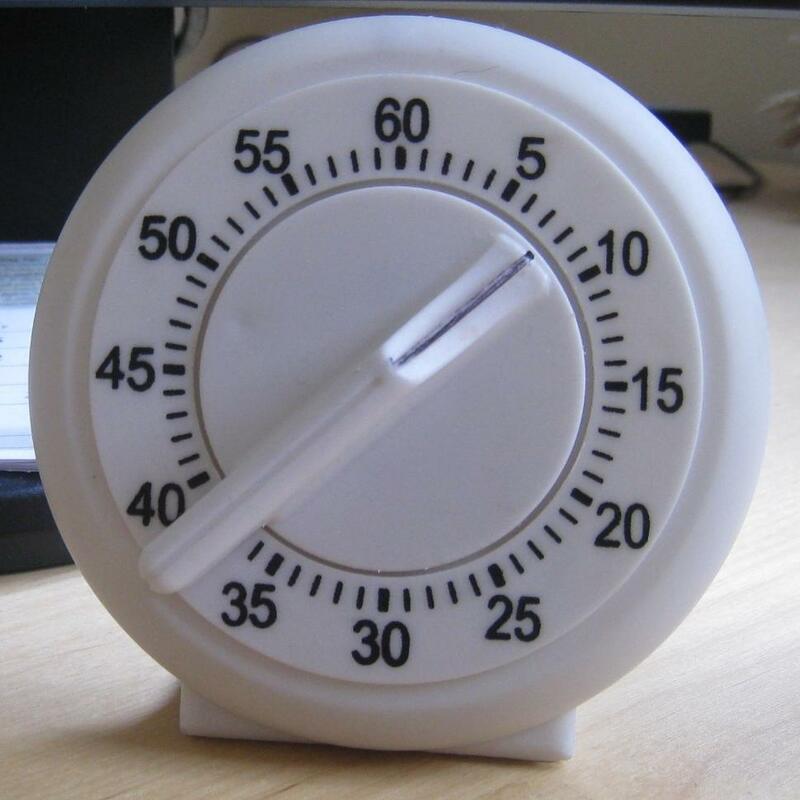 Get a wind up kitchen timer (one that shows how long before the timer will go off) and then when you don’t want interruptions set the timer and put it somewhere visible. It is both an indication of “go away” plus giving them an indication of when they can come back. You are then allowed to use it for say 1 hour a day. Removing the bell is polite to everyone else on the floor. Another variation is the whole team shares the timer – forced quiet times on the floor. An interesting idea for open plan office space. And no, you cannot glue the timer to always show “come back in an hour” – that sort of defeats the purpose… as tempting as it may be! I wonder how practical this method is in the real world. If your manager has something urgent to tell you (and he always has), then can you tell him to wait until the timer goes off in an hour? A more practical approach is the pomodoro approach, where you work for 25 minutes and then take a quick break of 3 minutes. And every 4 times you take a longer break of 15 minutes.This greatly enhances productivity. Thanks for the comment. I think the important thing is the team works out what is going to work for them, and everyone sticks to it.